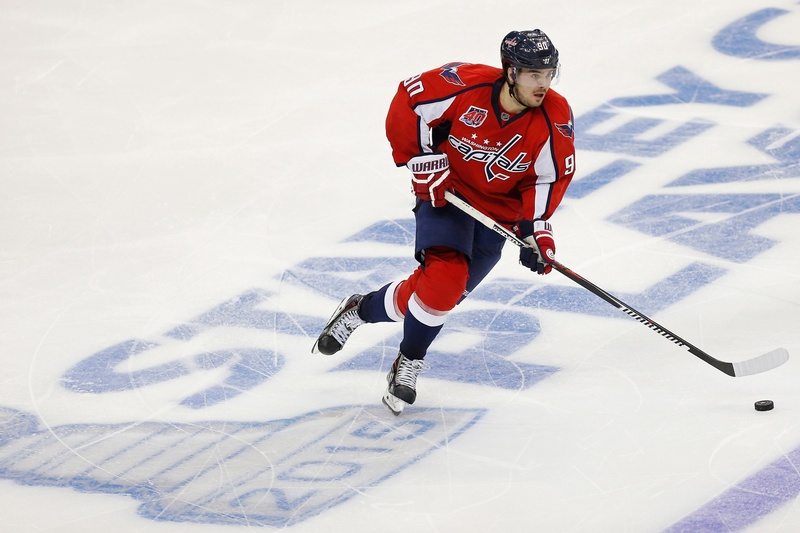 The Washington Capitals have agreed to terms on a contract with Marcus Johansson. The deal came on the heels of a Wednesday hearing with the arbitrator and signs the forward for one year to the tune of $3.75 million. Johansson was seeking $4.75 million a year through arbitration, while the Capitals countered with $3 million for one year. The 24-year-old is coming off a career year in 2014-2015, posting 47 points including 20 goals. In 14 playoff games, he had four points. The Capitals are hoping the Swedish forward can build on his 20-goal season and that’s a reasonable wish. Johansson is a quick skater with a great sense for the ice. He’s a solid playmaker and can be silky-smooth with the puck, which fits Washington’s style well. He also owns an explosiveness that lets him get to the outside on defenders to set up the play. The Capitals have him slotted in on the second line and the contract effectively pays him a second line salary, so it’s hard to argue with the money. And he’s mostly effective when he’s not playing with Alex Ovechkin and Nicklas Backstrom, which helps give Washington a range of options. The newly-acquired T.J. Oshie will see top billing, putting Johansson with the talented Evgeny Kuznetsov on a renewed second unit. In Johansson, the Capitals get a player who’s already cruising into his sixth season in the NHL and seems to respond well to Barry Trotz. 17 of his 20 goals came in even strength situations, too, which speaks to his creativity and ability to get things done. Digging deeper, we see that Johansson put up a 53.1 percent even strength shot attempt differential. That’s the best of his tenure in Washington so far. To compare, Johansson only had five even strength goals in 114 games between 2012-2013 and 2013-2014. So while he’s probably not going to fill the net to an absurd degree, the Capitals can rely on their second line forward group to get things done with Johansson locked in for a spell. They can work with this contract, avoid the fallout of arbitration and get working toward the future. And when you consider all that general manager Brian McLellan has been up to this summer, including the inking of Braden Holtby to a common-sense deal (despite the objections of those dogged fans who believe in judging a player by only one metric), the future looks bright for Washington. Previous Should the Hurricanes Trade Jeff Skinner?